The Dog Eaze Inn provides the highest level of care and comfort for our pet guests in a clean and safe environment. We build lifelong relationships with our pet guests and pet parents. 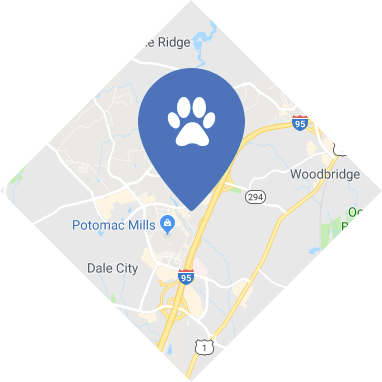 We're conveniently located in Woodbridge, VA providing Dog Boarding, Dog Daycare, and Grooming for our clients. Give us a call to schedule a reservation. 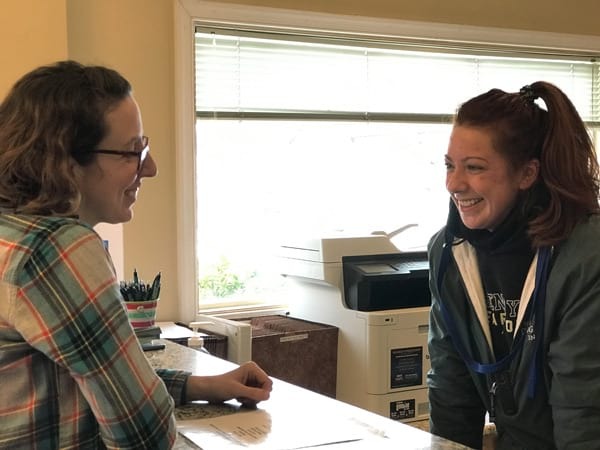 The Dog Eaze Inn is not your average dog boarding kennel but the area’s must trusted pet care center designed to keep pets happy, healthy and safe. Our professional team provides hands-on attention and loving care based on the needs of each pet and your wishes. Our experience has shown that high levels of activity and engagement with our pet care team results in happier and healthier pets. 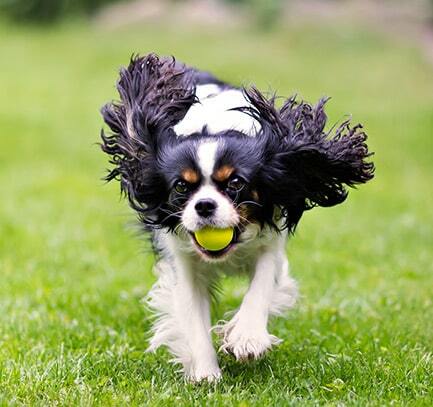 The Dog Eaze Inn offers a variety of activities so you can customize your pet's stay by selecting the amount and types of activities that are best for your pet. 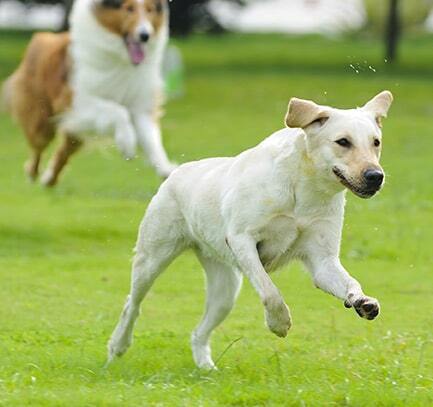 Are you looking for a safe, fun and stimulating Dog Daycare experience for your dog? 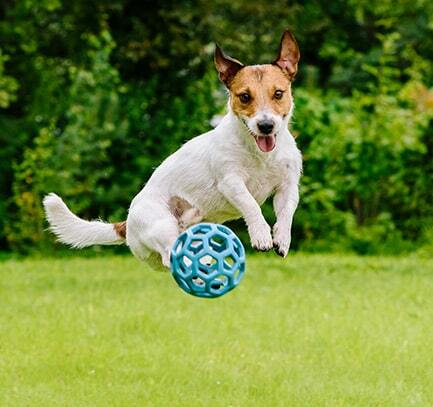 Bring your pet to The Dog Eaze Inn for a fun day of play. Instead of a one-size-fits all approach to Daycare, we’ll get to know your dog’s unique characteristics and select the Daycare experience that suits your dog best. Whether it's The Dog Eaze Inn's Pampered Spa Package or just a quick bath and blow dry, your dog will come home looking and feeling great! 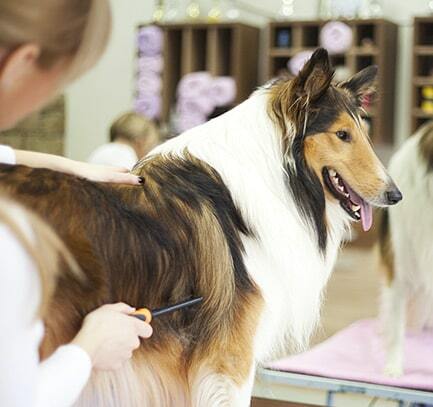 Give us a call to schedule a Dog Grooming appointment! The Dog Eaze Inn provides the highest level of care and comfort for our pet guests in a clean and safe environment. We build lifelong relationships with our pet guests and pet parents. Our guests spend many days with us over the course of their lives and to many, we become a second home as well as a place to have fun. © 2019 The Dog Eaze Inn. All Rights Reserved.